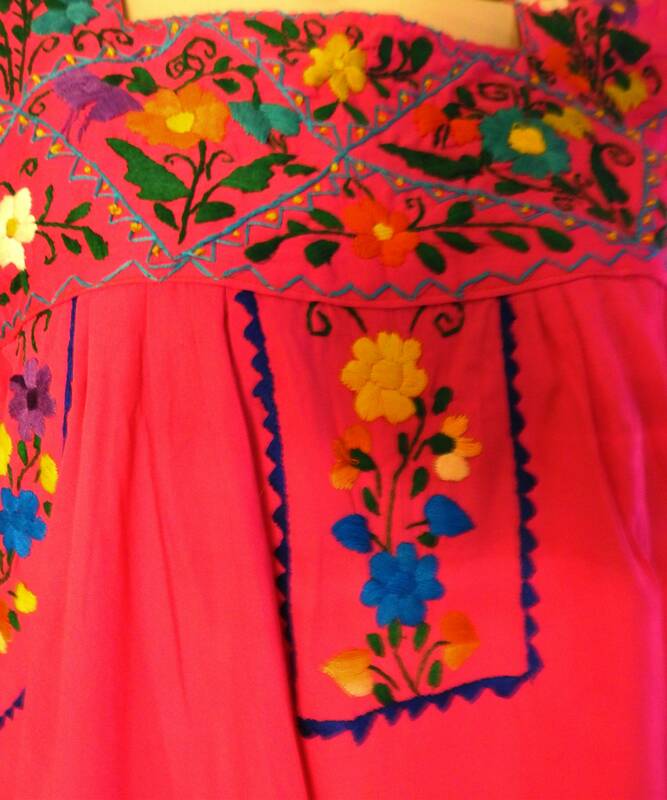 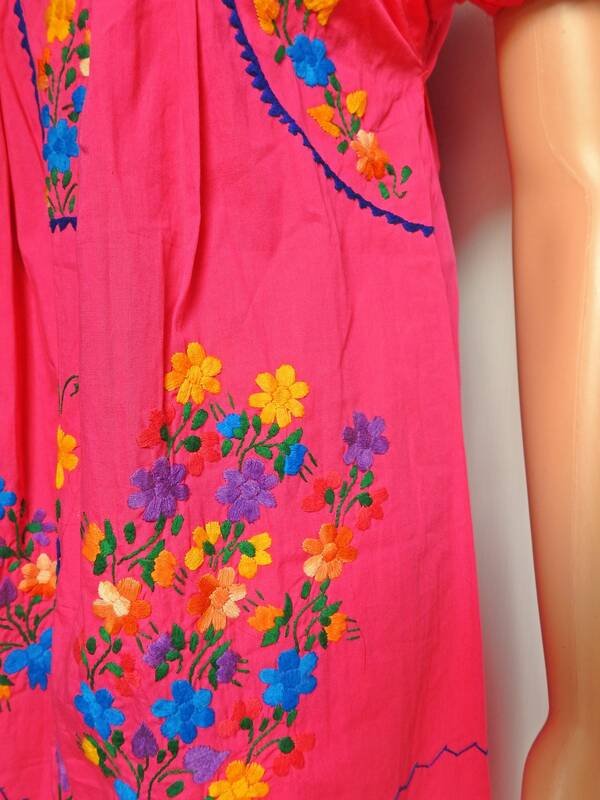 Searching for long hippie boho Mexican embroidered dresses for women? 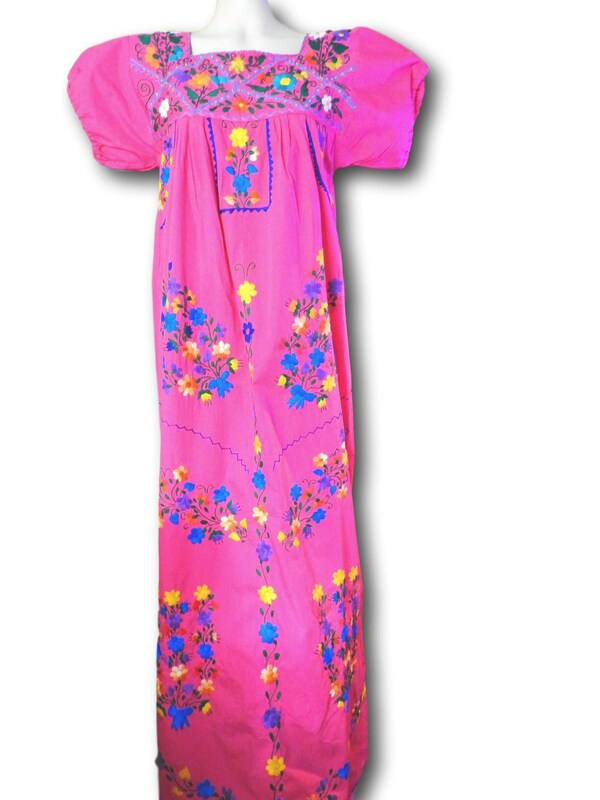 This pink vintage dress is exactly the dress your closet needs to carry you through your next bohemian celebration. 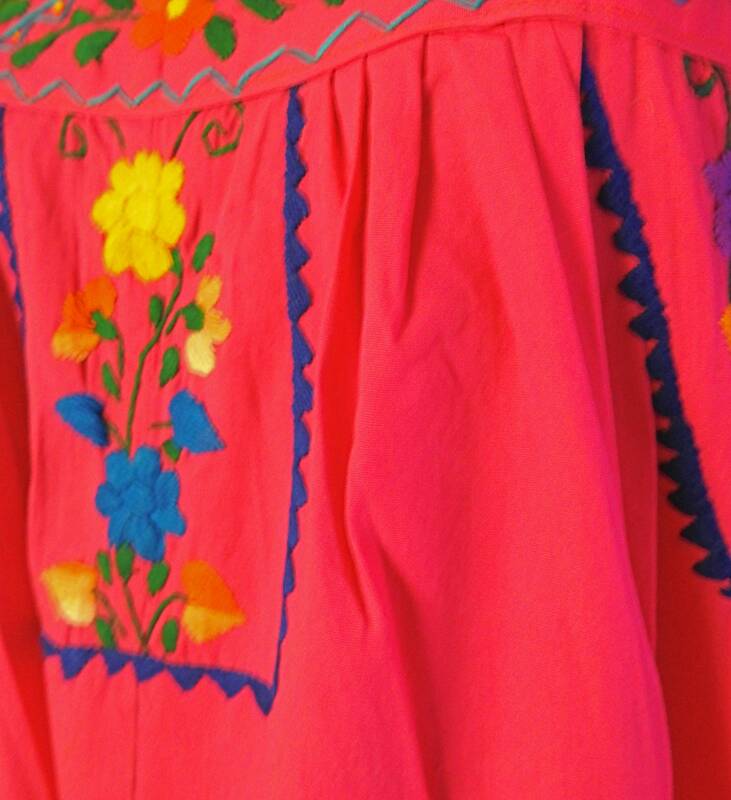 ● Handmade in Mexico, origin: USA. 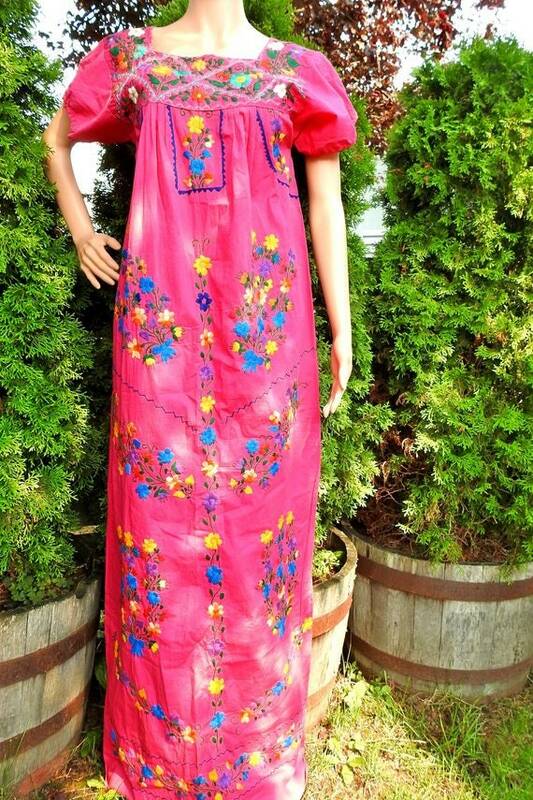 ● Style: Mexican hippie boho gypsy. 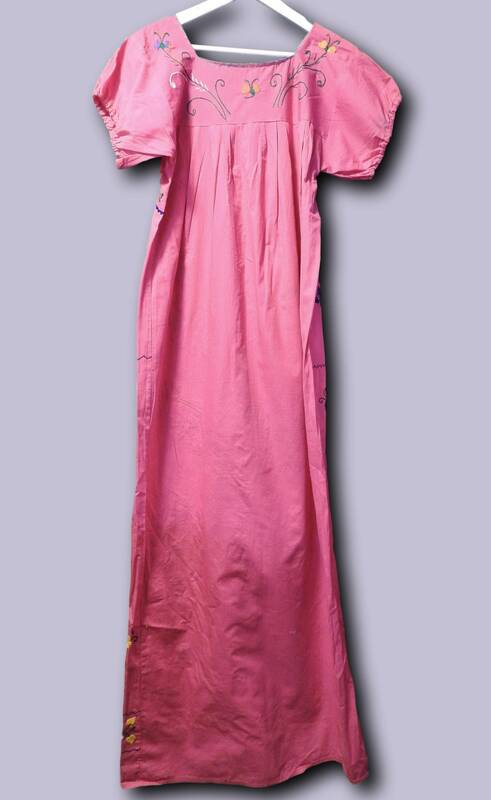 ● hem length: Floor, this is a perfect dress for a tall ladies. 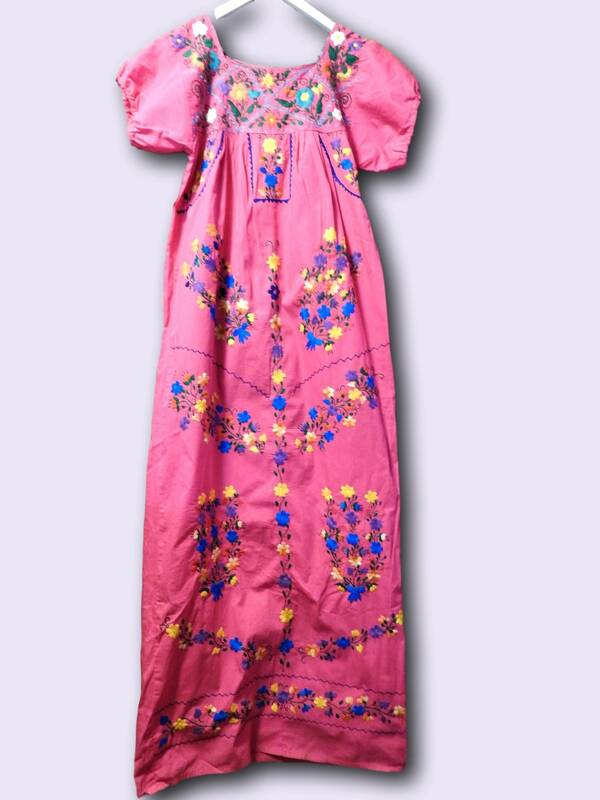 • Total length: 62'' -1.60 cm, again, this dress has a very rare length and would be perfect for a tall lady. 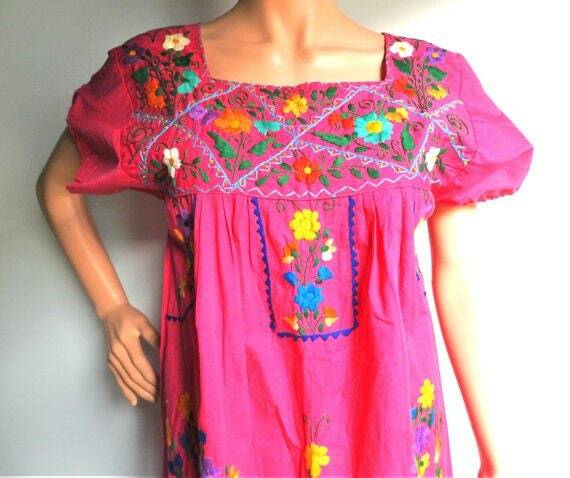 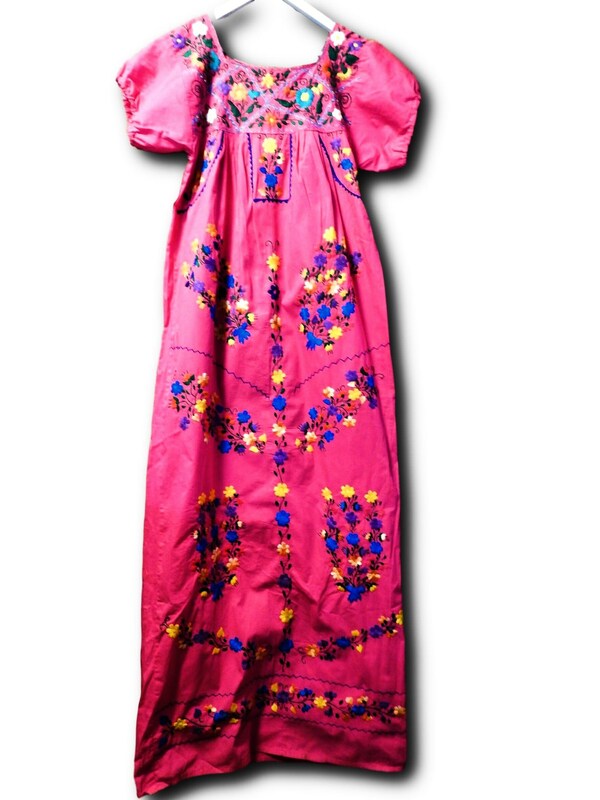 Thank you for exploring this long vintage hippie Mexican dress!